Implemented additional check for situations when Player may have forced (with his or her editing of Flight Schedule) the aircraft to still get an unassigned ground parking stand or an erroneous parking stand assignment; from now on (hopefully as a temporary measure, while Flight Schedule Editor is being further developed) - if such an erroneous or empty or invalid or conflicting with actually occupied\free stands chart, parking assignment still exists by the moment of reaching holding points HM2\HM3 on Apron 1 and further on with upcoming version 0.2.6a - on new Apron 2 - the conflicting aircraft in question will be removed forcefully from game world without affecting Player's Airport Rating with owner Airline; please note: this solution is temporary and in most cases should not be interfere with gameplay; it is intended mostly for Player who play a lot with Flight Schedule Editor (either for purpose of testing or any other) and may eventually run into a logics lockup situation - so in order for these Player to continue playing current playthrough without having to start over - the logically locked up aircraft will be removed from game world and all ATC and management records without any implications - after we complete integrating all new features of the game and the modes of Flight Schedule Editor, this mechanism will most likely be revised. 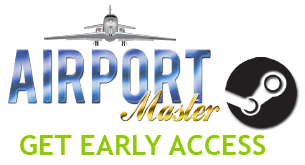 Added 2 new Airports: Wellmerton City (JAWL/WLM) and Roulent Municipal (JART/RLN); Both serviced by Aster. Added new engine sounds for J358 aircraft, recorded from a real PW engine; thank you, Tony! Added new gear operation and flaps motors sounds for J358 aircraft, recorded in hangar, cleaned and remastered to create the full audial immersion for this aircraft type; thanks Tony and our best regards to Heinrich for allowing us to place mics in hangar during maintenance! PC\Linux\Mac interoperability and compatibility & new optional multipass-shaders fon *Nix-builds. Details for CAT-group members only. New mechanics for flight scheduling for all non-regular flights operators: when a new non-regular flight is scheduled, it's now scheduled as VFR if when the following conditions are met: 1) an aircraft can use general aviation ground parking stands (i.e. wingspan < 14m) and 2) flight arrival time is between 0800Z and 1700Z (daytime) and 3) meteorology conditions at the time of arrival are expected to be VMC; otherwise - flights are scheduled as IFR. For the return-flight, it is scheduled as VFR when the following conditions are met: 1) the arrival flight had been filed as VFR and 2) time of return flight departure falls between 0800Z and 1700Z (daytime) and 3) meteorology conditions at the time of departure are expected to be VMC; In all other cases IFR flight plan is filed (even if initial request by aircraft operator has been for VFR return flight). Note: in future versions government, law enforcement and Airforce Academy flights will be scheduled as SVFR if need arises to file VFR flight plan at night (still with regard to VMC meteorology conditions). Fixed the location of Object Camera Reference Point on all aircraft of type D170; as a configuration error, the reference point was shifted too far front, making the rotation of Object Camera uneven; fixed; Thanks go to Mathew Ellison for noticing this bug and reporting it! Added new engine sounds for Z205 aircraft, recorded from a real Lycoming TSIO-540 engine; thanks Tony! Changed engine sounds for ZN17 aircraft - recorded from Lycoming O-360-A4 engine after restoring - one can hear the definite difference of later two; thanks Tony! Changed how flight scheduling works: from now on: Regular Flights (Airlines) add flight plans to flight schedule as per agreed Airline Master Contract; Non-Regular flights add flight plans only via Player's input (each new proposed flight is to be accommodated and approved by Player); each and every flight (regardless, regular or non-regular) that upon being filed interfere with currently allocated time slots (and\or ground parking stands allocation) requires Player's input to resolve the conflicting slots. Note: essentially Airline Master Contract penalties apply here in case that Player elects to resolve conflicting slots by moving regular flight's slot from previously agreed allocation; if the opposite way to resolve conflicting slots is elected by Player (e.g. move non-regular flight's slot and preserve the regular flight's one) in most cases, this will result in no penalties (other than cases when non-regular flight's slot is moved too far away from initially requested). For such cases, Player may elect to disapprove a planned flight of non-regular operator taking standard rating penalty. Also note: no Time Skip operations are possible if there is at least one non-allocated flight waiting approval\disapproval of a filed flight plan at any given moment. This is a service mini-update. It fixes two gameplay-critical bugs found by Airport Master players after the release of v.0.2.1a. Savegames created in 0.2.1a are readable\usable in 0.2.1.1a. Fixed TimeSkip's dayskip bug that may have caused several critical game lockups with arriving aircraft - this non-regular bug manifested itself as Game Day suddenly changing from 1 to 8 (also Monday, but a week in the future) during a Time Skip operation initiated by Player, which in turn caused the arrivals schedule to break badly on actual day 1 - this has been fixed (hopefully for good!) and a protection against this type of bug's been introduced; fixed; thanks go to Christophe Lemaire for quickly letting us know of this bug in his playthrough and sending us his savegame files for us to analyze! Fixed bug with Chronometer on aircraft performing 'visual orbit left', 'visual orbit right' and 'orbit on localizer' on ATC request: if the game was saved while aircraft was flying an orbit and then the game was reloaded the pilot's Chronometer would have never been re-started and thus the plane would fly out of game world eventually depleting fuel reserves; fixed; thanks go to Lei Fo Schermimann for catching this one and for providing us with his saved game file for analysis! 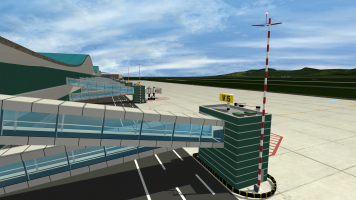 Upon starting a new game, the minimal workforce required to run the Airport is generated according to startup templates with salaries randomized within certain economy balancing limits; currently about 110 staff positions are manned when player starts a new game; further on, the Player will be able to fire\hire\promote\demote staff, currently only Hire mechanics is implemented; Note: the balance of salaries is very preliminary and does not depict what will be the final balance of salaries, currently the economy is balanced so that Salaries have a certain impact on Airport growth (taking into account that say Player already pays Maintenance hangar salaries, but no income mechanics for servicing aircrafts (Form-A and Form-B) are yet implemented) - so basically, at the moment the burden of paying daily salaries should not generate massive expenses Player would need to counteract with more profitable business, but that will definitely become the case, once the economy model is fully implemented, weighted and balanced; Also note: until the moment that Mayor's subsidies (quests) are fully implemented, we are not planning to raise the overall burden of Salary expenses to somewhat 'realistic' level, but once the Mayor subsidies are there - we'll do thorough re-balancing both as to number of employees required by each department and minimum salaries. 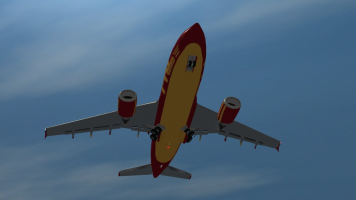 Nav, Strobe & Beacon lights on all aircraft in game changed to new version, resulting in great FPS economy on processing massive numbers of lights - the same improvement that previously been undertaken for landing and taxi lights of all aircraft in game - a big step towards even more dynamic lights in game world! Note: GPUs 3 years old and older will see moderate FPS increase; newer GPUs will see considerable FPS increase, especially when many dynamic lights are on simultaneously. New real-world engines sounds for Vertical Noble J58 aircraft (thanks, Tony!) recorded again in very high quality with almost zero rogue noise on a 58 with Continental IO-550 engine with dual directional microphones, remastered in Stereo with dual channel input. Very distinctively sounding engine! Added Salaries tab to Airport Administration UI, left part lists all the departments of the Airport along with analytical data: the number of employees, total monthly salaries per each department (along with bar-graphs visualizing the proportion of workforce expenses among departments; each department data block has an 'Info' button; upon pressing said button, all current employees of a department are listed in the right part of the tab (scrollable list), currently providing the following data: type of job occupied, name, job name, workplace, monthly salary. Should Player want to switch between monthly salaries view and daily wages view, he or she may press and hold [ALT] key on keyboard and while holding it, the daily wages display mode is on; in future versions the arrows will appear next to the amount paid allowing for Salary increase\decrease and a meter, displaying Employee's happiness (please note: all HR-related perks' bonuses apply here - e.g. the 'Appealing Looks' perk will render in 10% lower salaries for the gender opposite to that of Player's avatar (Airport General Manager) to keep employee at the same level of happiness (i.e. say an office staff Female employee has a margin of happiness starting to go down at $850\mo salary, if the GM has selected a Male avatar and 'Appealing Looks' perk when starting the game, then the margin moves down to $765\mo - this is just an example of how this mechanics will work in new Salaries UI - it is also possible that a special small icon indicating that a perk affects salary may appear next to affected employees in future versions; the lower bar of Salaries tab displays total number of jobs, total monthly expenses on Salaries, average daily wage for Airport and the most important value to keep an eye on - the amount to be paid today at 1750Z time. Added full support for thrust reversers. As we gradually move towards including larger and larger aircraft in the game, with inclusion of CT55 (that would absolutely need to use thrust reversers to stop on Appleton airport 1300m runway) we are introducing thrust reversers. Reversers operate on very realistic basis: deployment and retraction times are configurable for each type of thrust reverser as well as spooling time; all existing types of thrust-reversers (target-type, clam-shell and cold-stream\bypass) are supported; the crew utilizes thrust reversers (if aircraft is equipped) from firm touchdown of main and front landing gear to about 40knots landing roll speed. Noise-levels produced by operation of various types of thrust reversers are also simulated. Fixed very rare and dangerous bug that would allow ATC to make Time Skip possible while aircraft that has previously been marked as going around (executing missed approach) would not request ground service; this may have led to dramatic delays in service and thus inadvertent dramatic lowering of Player's airport rating with aircraft owner airline - this is now fixed! Fixed very very unlikely to manifest bug, when game is saved while a vehicle driver starts the engine (about 3 seconds all in all) - the data on vehicle state was saved incorrectly (indicated that the engine is not running, which in turn caused the vehicle in question, once such savegame is loaded, to stay idle indefinitely and not driving) - this is fixed. Now if the save game procedure captures such rare moment, on loading the 'Engine is being started' state is recognized and as a result, the vehicle will not get into indefinitely idle state. Moreover, a safeguard against such rarely-manifesting logics flaws was installed - now if the vehicle driver has the route to go and for some reason other than that drive path is obscured by some other object, he will start the engine and continue towards target on his path. New real-world engines sounds for our new CT55 aircraft (huge thanks to Tony who was able to record very clear and distinctive sound of GE CF34-3B engine on real CL604 starting up, idle thrust, revving up and down and shutdown just outside maintenance hangar on a quiet day!!!) - the new sound set for CT55 sounds great! Sound spread ranges for all types of aircraft re-balanced again - the way it was in 0.1.9a was pretty good, but we went too far on reducing the ranges for piston-engines and small turboprops, it is absolutely unrealistic, that someone staying in Control Tower (about 11m elevation) would hear a piston-powered Znecma pass by and then would stop hearing it the moment it turns from twy D to twy C - so we've spent some time tweaking sound distribution ranges again and came up with much better aural composition of sounds - huge thanks to Tony for hearing all the variations and comparing them to his daily real-world experiences� The balance is hardly final, but it's much more realistic now!